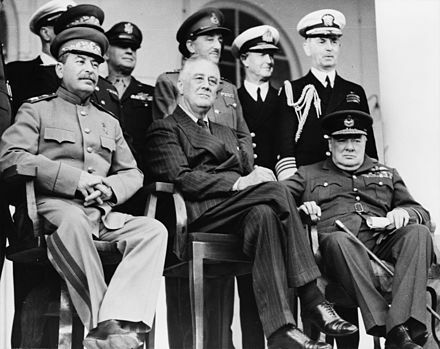 This article is about the World War II meeting of Allied leaders. For other uses, see Tehran Conference (disambiguation). Left to right: Joseph Stalin, Franklin D. Roosevelt and Winston Churchill. The Tehran Conference (codenamed Eureka  ) was a strategy meeting of Joseph Stalin, Franklin D. Roosevelt, and Winston Churchill from 28 November to 1 December 1943, after the Anglo-Soviet Invasion of Iran. It was held in the Soviet Union's embassy in Tehran, Iran. 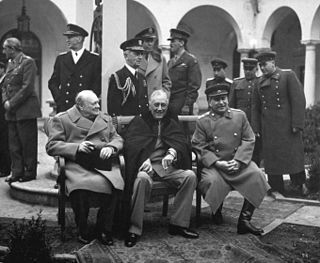 It was the first of the World War II conferences of the "Big Three" Allied leaders (the Soviet Union, the United States, and the United Kingdom). It closely followed the Cairo Conference which had taken place on 22–26 November 1943, and preceded the 1945 Yalta and Potsdam conferences. Although the three leaders arrived with differing objectives, the main outcome of the Tehran Conference was the Western Allies' commitment to open a second front against Nazi Germany. The conference also addressed the 'Big Three' Allies' relations with Turkey and Iran, operations in Yugoslavia and against Japan, and the envisaged post-war settlement. A separate protocol signed at the conference pledged the Big Three to recognize Iran's independence. The conference was to convene at 16:00 on 28 November 1943. Stalin arrived well before, followed by Roosevelt, brought in his wheelchair from his accommodation adjacent to the venue. Roosevelt, who had traveled 7,000 miles (11,000 km) to attend and whose health was already deteriorating, was met by Stalin. This was the first time that they had met. Churchill, walking with his general staff from their accommodations nearby, arrived half an hour later. According to Charles Bohlen, translator for FDR, FDR was accompanied by Averell Harriman and Harry Hopkins. Stalin was accompanied by Vyacheslav Molotov and Kliment Voroshilov. Churchill brought Anthony Eden and Lord Ismay, and his translator was Major Arthur Birse. Harry Lloyd Hopkins was an American social worker, the 8th Secretary of Commerce, and one of President Franklin Delano Roosevelt's closest advisors. He was one of the architects of the New Deal, especially the relief programs of the Works Progress Administration (WPA), which he directed and built into the largest employer in the country. In World War II, he was Roosevelt's chief diplomatic adviser and troubleshooter. As Stalin had been advocating for a second front since 1941, he was very pleased and felt that he had accomplished his principal goal for the meeting. Moving on, Stalin agreed to enter the war against Japan once Germany was defeated. In addition, the Soviet Union was required to pledge support to Turkey if that country entered the war. Roosevelt, Churchill and Stalin agreed that it would also be most desirable if Turkey entered on the Allies' side before the year was out. Churchill proposed to Stalin a moving westwards of Poland, which Stalin accepted, which gave the Poles industrialized German land to the west and gave up marshlands to the east, while providing a territorial buffer to the Soviet Union against invasion. Without American production the United Nations could never have won the war. On 1 December 1943, the three leaders came together and made declarations and negotiated the following military conclusions at the conference. Iran was going to war with Germany, a common enemy to the three powers. Stalin, Churchill, and Roosevelt addressed the issue of Iran's special financial needs during the war, and the possibility of needing aid after the war. The three powers declared to continue to render aid to Iran. The Government of Iran and the three powers reach an accord within all the disagreements to maintain the independence, sovereignty and integrity of Iran. The United States, USSR, and the United Kingdom expect Iran to follow along with the other allied nations to establish peace once the war is over, this is what was agreed upon once the declaration was made. The Yugoslav Partisans also known as National Liberation Army and Partisan Detachments of Yugoslavia should be supported by supplies and equipment to the maximum extent and also by commando operations. The leaders exclaimed that it would be desirable if Turkey should come into war on the side of the Allies before the end of the year. The leaders took note of Stalin's statement that if Turkey found herself at war with Germany, and as a result Bulgaria declared war on Turkey or attacked her, the Soviet Union would immediately be at war with Bulgaria. The Conference further took note that this could be mentioned in the forthcoming negotiations to bring Turkey into the war. The cross-channel invasion of France (Operation Overlord) would be launched during May 1944, in conjunction with an operation against southern France. The latter operation would be undertaken in as great a strength as availability of landing-craft permitted. The Conference further took note of Joseph Stalin's statement that the Soviet forces would launch an offensive at about the same time with the object of preventing the German forces from transferring from the Eastern to the Western Front. The leaders agreed that the military staffs of the Three Powers should keep in close touch with each other in regard to the impending operations in Europe. In particular it was agreed that a cover plan to mislead the enemy about these operations should be concerted between the staffs concerned. Stalin and Churchill discussed the future borders of Poland and settled on the Curzon line in the east and the Oder-Neisse line in the west. FDR had asked to be excused from any discussion of Poland out of consideration for the effects of any decision on Polish voters in the USA and the upcoming 1944 election. This decision was not ratified until the Potsdam Conference of 1945. During the negotiations at the Tehran Conference, Roosevelt secured the reincorporation of the Republics of Lithuania, Latvia, and Estonia into the Soviet Union only after the citizens voted on these actions. 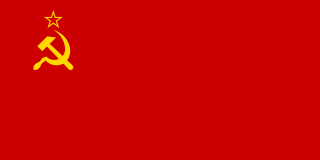 Stalin would not consent to any international control over the elections, and that all issues would have to be resolved in accordance with the Soviet Constitution. The Yugoslav Partisans were given full Allied support, and Allied support to the Yugoslav Chetniks was halted (they were believed to be cooperating with the occupying Germans rather than fighting them); see Yugoslavia and the Allies. Roosevelt and Stalin spent much of the conference trying to convince Churchill to commit to an invasion of France, finally succeeding on 30 November when Roosevelt announced at lunch that they would be launching the invasion in May 1944. 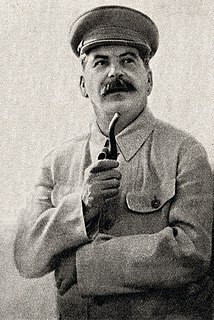 This pleased Stalin, who had been pressing his allies to open a new front in the west to alleviate some pressure on his troops. This decision may be the most critical to come out of this conference, as the desired effect of the relief of Soviet troops was achieved, leading to a Soviet rally and advance toward Germany, a tide Hitler could not stem. There was a shared view among the participants that Germany would need to be divided post war, with the sides differing on the number of divisions needed to neutralize her ability to wage war. While the numbers that were proposed varied widely and never came to fruition, the powers would effectively divide modern Germany into two parts until the end of the Cold War. The Cairo Conference of November 22–26, 1943, held in Cairo, Egypt, outlined the Allied position against Japan during World War II and made decisions about postwar Asia. The First Quebec Conference was a highly secret military conference held during World War II between the British, Canadian,and United States governments. The conference was held in Quebec City, August 17, 1943 – August 24, 1943. It took place at the Citadelle and at the Château Frontenac. 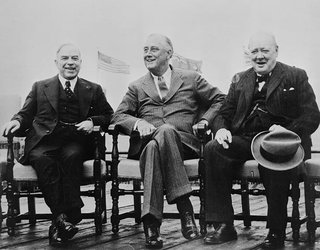 The chief representatives were Winston Churchill and Franklin D. Roosevelt, hosted by the Canadian Prime Minister, William Lyon Mackenzie King. The Casablanca Conference was held at the Anfa Hotel in Casablanca, French Morocco, from January 14 to 24, 1943, to plan the Allied European strategy for the next phase of World War II. In attendance were United States President Franklin D. Roosevelt and British prime minister Winston Churchill. Also attending and representing the Free French forces were Generals Charles de Gaulle and Henri Giraud, though they played minor roles and were not part of the military planning. Premier Joseph Stalin had declined to attend, citing the ongoing Battle of Stalingrad as requiring his presence in the Soviet Union. The First Moscow Conference of World War II took place from September 29, 1941 to October 1, 1941. The Second Moscow Conference (Codename:BRACELET) between the major Allies of World War II took place from August 12, 1942 to August 17, 1942. 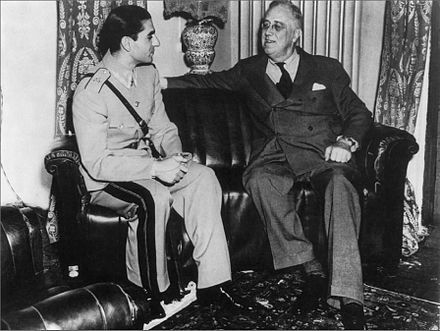 The Second Cairo Conference of December 4–6, 1943, held in Cairo, Egypt, addressed Turkey's possible contribution to the Allies in World War II. The meeting was attended by President Franklin D. Roosevelt of the United States, Prime Minister Winston Churchill of the United Kingdom, and President İsmet İnönü of the Republic of Turkey. The Percentages agreement was a secret informal agreement between British prime minister Winston Churchill and Soviet leader Joseph Stalin during the Fourth Moscow Conference in October 1944. It gave the percentage division of control over Eastern European countries, dividing them into spheres of influence. Franklin Roosevelt was consulted tentatively and conceded to the agreement. The content of the agreement was first made public by Churchill in 1953 in the final volume of his memoir. The US ambassador Averell Harriman, who was supposed to represent Roosevelt in these meetings, was excluded from this discussion. Gevork Andreevich Vartanian was a Soviet intelligence officer. In October and November 1940, German–Soviet Axis talks occurred concerning the Soviet Union's potential entry as a fourth Axis Power in World War II. 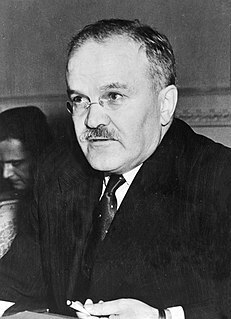 The negotiations, which occurred during the era of the Molotov–Ribbentrop Pact, included a two-day Berlin conference between Soviet Foreign Minister Vyacheslav Molotov, Adolf Hitler and German Foreign Minister Joachim von Ribbentrop, followed by both countries trading written proposed agreements. After two days of negotiations from 12 to 14 November 1940, Germany presented the Soviets with a draft written Axis pact agreement defining the world spheres of influence of the four proposed Axis powers. 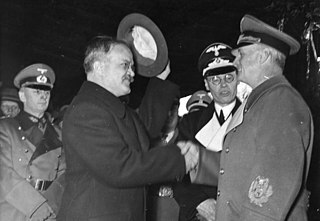 Hitler, Ribbentrop and Molotov tried to set German and Soviet spheres of influence; Hitler encouraged Molotov to look south to Iran and eventually India while preserving German access to Finland's resources, and to remove Soviet influence in the Balkans. Molotov remained firm, seeking to remove German troops from Finland and gain a warm water port in the Balkans. Soviet foreign policy calculations were predicated by the idea that the war would be a long-term struggle and therefore German claims that Britain would be defeated swiftly were treated with skepticism. In addition, Stalin sought to remain influential in Bulgaria and Yugoslavia. These factors resulted in Molotov taking a firm line. According to a Columbia University academical source, on 25 November 1940, the Soviets presented a Stalin-drafted written counterproposal where they would accept the four power pact, but it included Soviet rights to Bulgaria and a world sphere of influence centered on the area around Iraq and Iran. 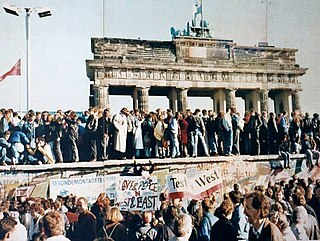 Germany did not respond, leaving the negotiations unresolved. Regarding the counterproposal, Hitler remarked to his top military chiefs that Stalin "demands more and more", "he's a cold-blooded blackmailer" and that "a German victory has become unbearable for Russia" so that "she must be brought to her knees as soon as possible." Germany broke the Molotov–Ribbentrop Pact in June 1941 by invading the Soviet Union. Operation Long Jump was an alleged German plan to simultaneously assassinate Joseph Stalin, Winston Churchill, and Franklin Roosevelt, the "Big Three" Allied leaders, at the 1943 Tehran Conference during World War II. The operation in Iran was to be led by SS-Obersturmbannführer Otto Skorzeny of the Waffen SS. A group of agents from the Soviet Union, led by Soviet spy Gevork Vartanian, uncovered the plot before its inception and the mission was never launched. The assassination plan and its disruption has been popularized by the Russian media with appearances in films and novels. The following is a timeline of the first premiership of Winston Churchill, who was the Prime Minister of the United Kingdom from 1940 to 1945 and again from 1951 to 1955. 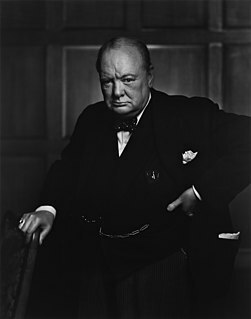 Churchill served as the Prime Minister of the United Kingdom during the bulk of World War II. His speeches and radio broadcasts helped inspire British resistance, especially during the difficult days of 1940–41 when the British Commonwealth and Empire stood almost alone in its active opposition to Nazi Germany. He led Britain as Prime Minister until victory over Nazi Germany had been secured. for the general history see Timeline of the United Kingdom home front during World War II. 1 2 3 4 5 6 Service, Robert (2005). Stalin: A Biography. Cambridge, Massachusetts: Harvard University Press. pp. 459–60. ISBN 978-0-674-01697-2. ↑ Tolstoy, Nikolai (1981). Stalin's Secret War. Holt, Rinehart and Winston. p. 57. ↑ Overy, Richard (1996). Why the Allies Won. New York: W.W. Norton & Company. pp. 245–246. ISBN 978-0-393-03925-2. ↑ Office of the Historian (2016). "The Tehran Conference, 1943". Milestones 1937–1945. U.S. Department of State. ↑ "Milestones: 1937–1945". Office of the Historian. US Department of State. Retrieved 7 June 2014. ↑ McNeill, American, Britain and Russia (1953). p. 353. ↑ Beevor, Antony. Stalingrad . ISBN 978-0-14-024985-9. ↑ "One War Won". Time . 13 December 1943. ↑ Robert Gellately (2013). Stalin's Curse: Battling for Communism in War and Cold War. Oxford U.P. pp. 177–178. 1 2 3 Roberts, Geoffrey (Fall 2007). "Stalin at the Tehran, Yalta, and Potsdam Conferences". Journal of Cold War Studies. 9: 6–40 – via EBSCOhost. ↑ Ehrman, John (1956). Grand Strategy Volume V, August 1943-September 1944. London: HMSO (British official history). pp. 429, 430. 1 2 3 4 5 6 Eubank, Keith (1985). Summit at Tehran. New York: William Morrow and Company, Inc. pp. 170–173. 1 2 Mayle, Paul (1987). Eureka Summit: Agreement in Principle and the Big Three at Tehran, 1943. London and Toronto: Associated University Presses. pp. 57–59. ↑ Dolgopolov, Nikolai (January 2007). Triple jeopardy: the Nazi plan to kill WWII leaders in Tehran. RIA Nowosti vom 4. "Cold War: Teheran Declaration." CNN. 1998. 26 March 2006. Ehrman, John (1956). Grand Strategy Volume V, August 1943-September 1944. London: HMSO (British official history). pp. 173–183. Leighton, Richard M. (2000) . "Chapter 10: Overlord Versus the Mediterranean at the Cairo-Tehran Conferences". In Kent Roberts Greenfield (ed.). Command Decisions. United States Army Center of Military History. CMH Pub 70-7. Wikimedia Commons has media related to Tehran Conference .